Kids will discover amazing stories and parables, all found in the Bible! This is the Bible story book you’ve always wanted to share with your children. It’s all the best bits with the best kind of busy, colourful illustrations that fascinate and captivate eager young minds. All the best loved Bible characters and depicted in their own time and place to create an easy to understand narrative without losing biblical context and accuracy. Retold by expert children’s’ storyteller, Marion Thomas, her poetic traditional style is perfectly matched by the colourful, absorbing pictures of Andrew Everitt-Stewart; best known as the illustrator of the 'Spot the Dog' children’s picture storybooks. The Bible - The Best Bits by Marion Thomas was published by Authentic in September 2013 and is our 18709th best seller. 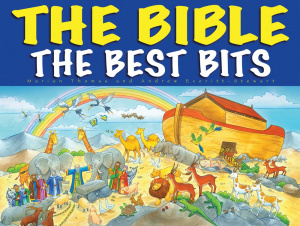 The ISBN for The Bible - The Best Bits is 9781860248757. Unlike many of the "collected stories from the Bible" books this one is not small and thick, rather it is approximately landscape A4 size. This allows the fantastic illustrations to be large - roughly three quarters of each double-page spread, with one well retold story on each. Of course, the book being so large necessitates losing some breadth of the stories covered though, with roughly 150 words on each page (the length of this review), not a great deal is lost compared to other books which have many more pages but far fewer words on each. Each picture also has something to find; my son and I both really enjoyed this book and the things to find definitely helped to keep his interest - long enough for us to read half of the book in one sitting! Got a question? No problem! Just click here to ask us about The Bible - The Best Bits. How come I got a 48hr flash sale email offering this book at £1.99 but when I click the link it's suddenly £5.50? A:The offer only applies whilst sale stock last, I'm afraid. Thank you for using the Q&A Forum. 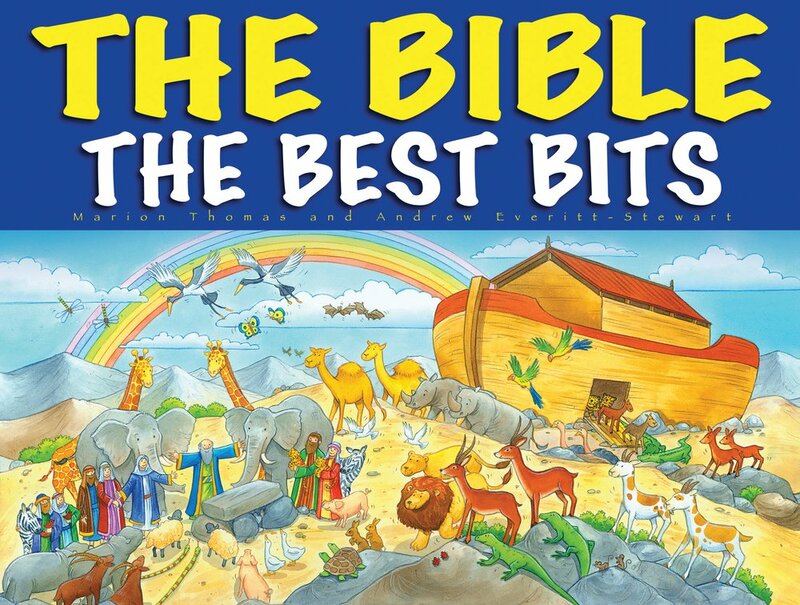 This is the Bible, the best bits retold for children, with lots of busy, detailed colour illustrations. Look out for your favourite Bible people - living in their own time and place. Written in traditional storyteller style, evoking the poetry of the Bible story while retaining biblical accuracy.